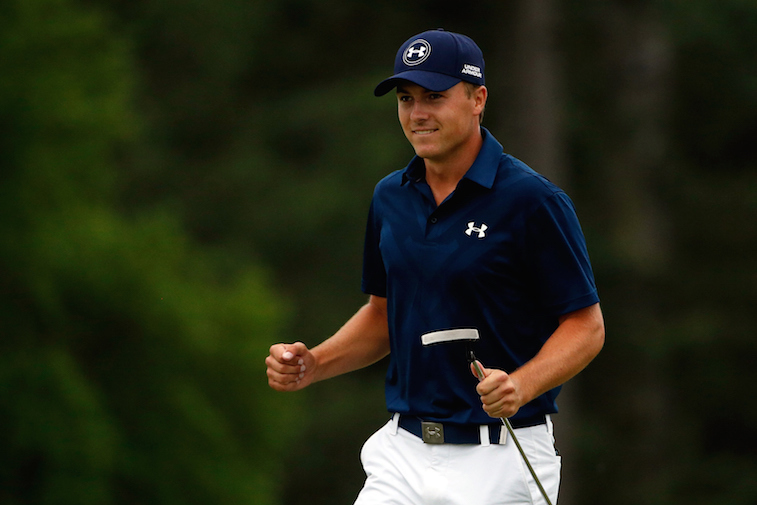 Will Jordan Spieth Become the Next Tiger Woods? 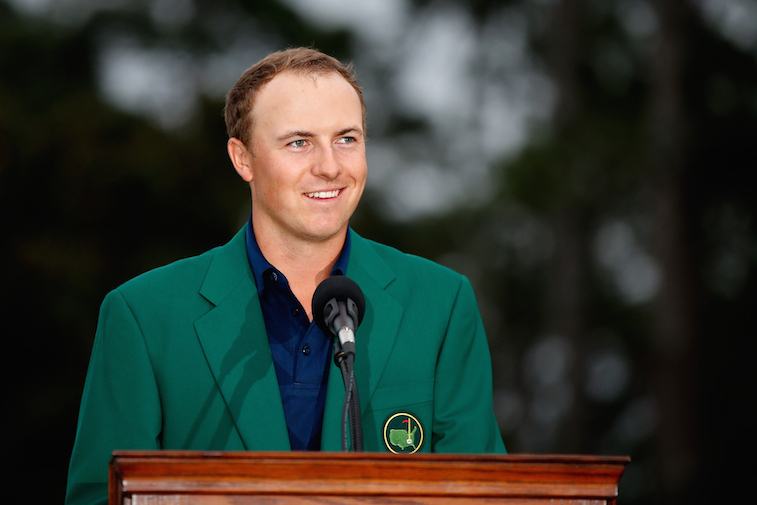 Jordan Spieth’s victory at the 2015 Masters signified the official start to a new era in professional golf. Over the past year, golf has seen a passing of the torch of sorts, going from being a game dominated by golf legends like Tiger Woods and Phil Mickelson to being a game dominated by the next generation of golf superstars like Rory McIlroy and Spieth. The 25-year-old McIlroy and the 21-year-old Spieth are currently the No. 1 and No. 2 ranked players in the world, respectively, and now both players have major wins on their résumés. The budding rivalry between Spieth and McIlroy has drawn comparisons to the Mickelson-Woods rivalry of the past 15-plus years, and to the Jack Nicklaus-Arnold Palmer rivalry years earlier. The game of golf has been in desperate need of a high-profile rivalry and superstar American player ever since Woods’s career took a turn for the worse following his marital scandal in 2009. McIlroy has drawn comparisons to Woods since his first major win, the 2011 U.S. Open. In his prime, Woods was arguably the most dominant golfer to ever play the game. He hit the ball farther with both his driver and his irons, and made clutch putts. Woods had a mental stranglehold over his opponents that had never before been seen on the PGA Tour. Over the past year, McIlroy has been similarly dominant. He won both the Open Championship and the PGA Championship in 2014, and at times looked unbeatable. However, McIlroy will never be able to attain Woods’s level of iconic status in America with the amount of time he spends playing in Europe. That leaves the door open for Spieth to capitalize on his Masters win and fill Woods’s role as the face of golf in the United States. Spieth wasn’t even 4 years old when Tiger Woods won his first Masters championship in 1997. On Sunday, he joined Woods in becoming only the second 21-year-old to win the Masters in tournament history. One year prior, he came within three strokes of breaking Woods’s record of being the youngest player to ever win the Masters. Spieth’s performance at Augusta National this year tied Woods’s 72-hole scoring record that he, coincidentally, set as a 21-year-old in 1997. On top of that, Woods and Spieth were an identical 19-under par through their first six rounds at the Masters as professional golfers. Just as Woods became the face of Nike Golf, Spieth is now the face of Under Armour’s golf division. And like Woods did at Stanford two decades earlier, Spieth ruled the collegiate game while playing for the University of Texas. Much like Woods, Spieth is emerging as a favorite playing partner for some of the biggest celebrities in the world, such as former President George W. Bush and Dallas Cowboys quarterback Tony Romo. As you may have noticed, the similarities between the two polarizing golfers could go on for pages. On the course, Spieth is a vastly different player from Woods. While Woods changed the game with his incredible power, Spieth has become a household name behind his near-flawless short game. They win tournaments with different playing styles, and only time will tell if Spieth can impact golf the way Woods did for so many years. But if this past weekend’s Masters championship at Augusta National was any indication, the 21-year-old Texas native is well on his way.